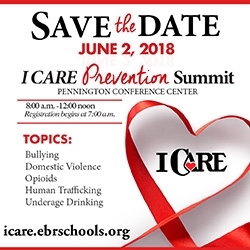 Why Lake of the Ozarks? Natural beauty cannot even begin to describe the Ozark Mountains. Whether you choose the breathtaking wonders of the Arkansas Ozarks or the splendid marvels of the Missouri Ozarks, you will not be disappointed. This spectacular region is a perfect place for family connection and family fun. 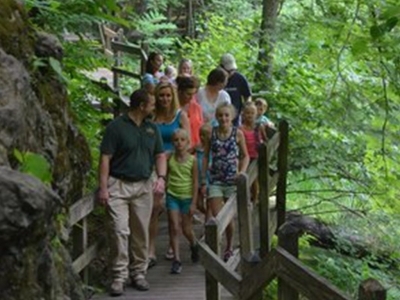 Experience the allure of clear lakes, mysterious caves, hiking trails, and tons of family activities in the Ozarks! Gorgeous waterfront view with friendly service and delicious food, what more can you ask? 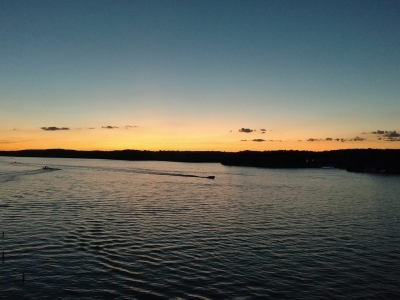 Every day is paradise here in the heart of the Lake of the Ozarks. Come by to relax and take in the view of the boats and the water, and enjoy the mouth-watering entrees made from the freshest ingredients. Though a bit of a drive, you can’t pass up a chance to eat at Lambert’s. For some family-style home cooking, make sure to carve out some time for a meal at the “Home of Throwed Rolls,” Lambert’s Cafe II. The entire family will have some laughs and surprises while eating classic Southern fare. You will create great memories at this famous establishment and fill up your bellies as well. The Ozarks are one of the most beautiful places in the South, so get outside and enjoy it. Hike trails, see wildlife in its natural habitat, and appreciate everything the lovely area has to offer by exploring a wilderness area. The National Forest Service operates Hurricane Creek, Richland Creek, Leatherwood, and Upper Buffalo Wilderness Areas, which are all full of scenic rock formations and limitless possibilities for adventure. Wander through the spellbinding phenomenon of the Onyx Cave on a self-guided tour through the chambers with names like the Witches’ Fireplace and Friendly Dragon. This impressive natural onyx cave was discovered in 1893 and has been wowing families ever since. Witness all of the spectacular underground formations in this living cave. Dive into big fun at Big Surf Family Fun Water Park. Have all the water fun you can on the Raging Rapids, the Space Bowl, Lazy River, the Wave Pool and the awesome Zambezi Falls. Spend the day in the sun and make great memories together. Delight in the solitude of a hidden cove along the shorelines of one of Missouri’s largest lakes. Swim, fish, boat or simply take in the view at the Lake of the Ozarks State Park. 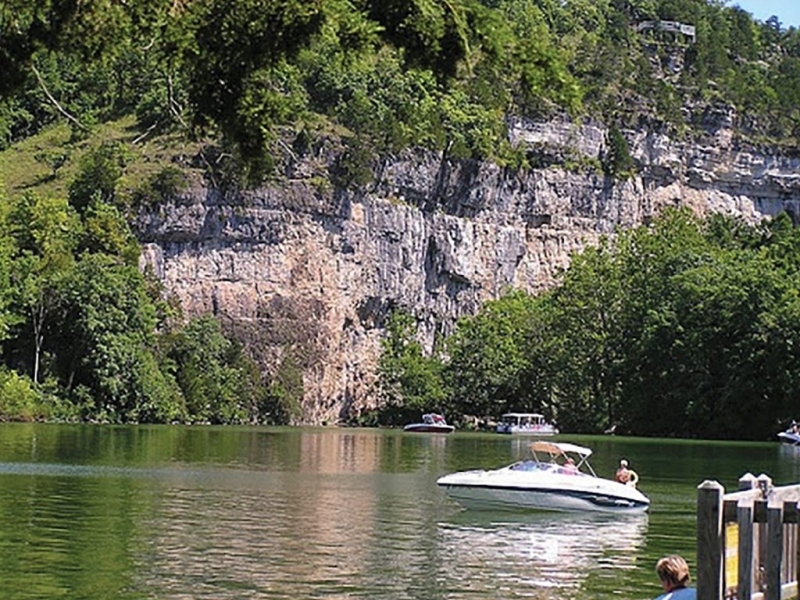 On shore, you can hike or ride horses through open woodlands, sunny glades, small springs and streams to bluff-top views of the Lake of the Ozarks. Year-round overnight accommodations include campsites, camper cabins and yurts. Spend the day on the water on a paddling adventure at Super Dave’s Paddle Craft Adventures. 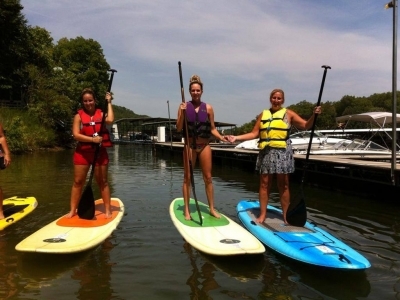 Super Dave’s offers a variety of paddle crafts that can be used by the whole family including kayaks, kiddie kayaks, canoes, pedal boats, and stand up paddle boards. Live like kings and queens–or at least pretend–while visiting Ha Ha Tonka State Park. 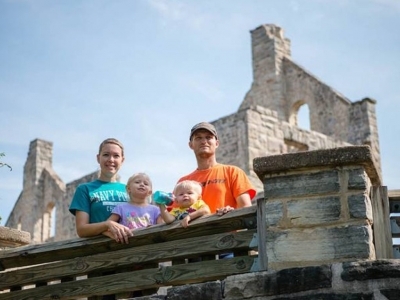 Ha Ha Tonka State Park features the stone ruins of a turn of the 20th century castle. More than 15 miles of trails traverse the park, leading visitors to sinkholes, natural bridges, caves, and down to the lake. Meet Toby and Phoenix the alpacas or the trio of donkeys, Star, Buster, and Diablo when you visit Funny Farm Petting Zoo. The petting farm features a variety of miniature and small breed farm animals including miniature horses, sheep, goats, pot-belly pigs, cows, and chickens, and they can’t wait to meet you and your little ones.